A new module of the Basic Technical Training Standard, for installation work, was piloted this week at European Wind Academy in Poland. 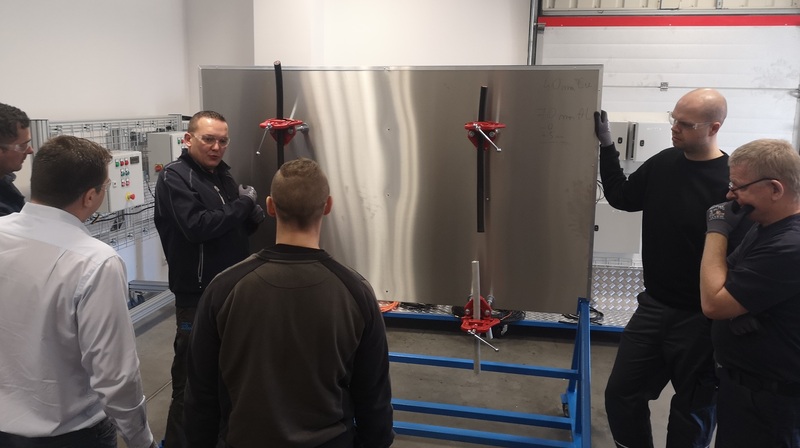 The BTT Installation Module is designed to provide technicians with an understanding and awareness of the associated health and safety issues when working on the installation phase of a project. For example, delegates will develop their knowledge of how to store and handle equipment, avoid dropped object incidents and work safely during lifting operations as well as usage of power/hydraulic tools while being supervised by an experienced technician. “GWO will develop the standard to ensure transparency and a global alignment ensuring both employers and end clients are able to understand the experience and competency of technicians undertaking work for them,” said Haben Zekarias, Project Manager responsible for the module’s development.